After safety information and instructions on how to drive the snowmobiles you head to the snowy forests on a short safari before stopping at a reindeer farm where the herder is waiting to greet you. 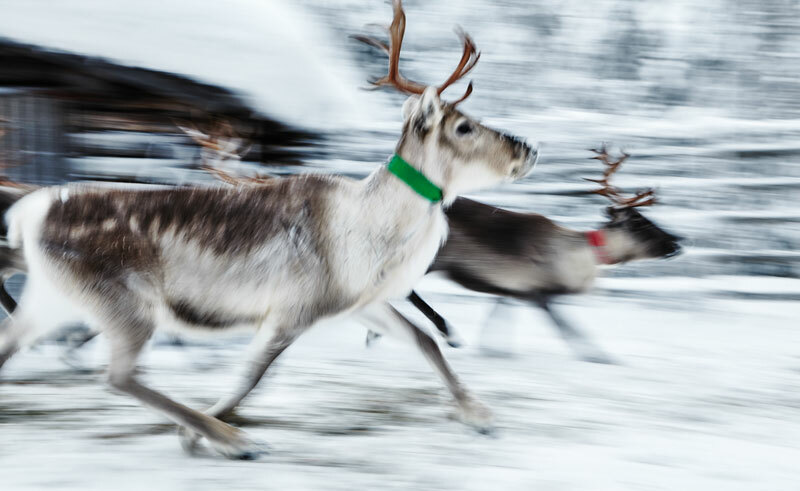 You will learn about the life of the reindeers and about herding, then go on a 300m sledge ride and afterwards help feed the reindeers. Some snacks and hot drinks are served in a Lappish tepee hut called ‘kota’ while the herder shares more of his stories before heading back by snowmobiles. Winter clothing is provided. Smaller children will be pulled in a sledge behind the guides snowmobile.